GroGuru provides precision soil and irrigation monitoring systems. Our ground-breaking technology ensures the right level of soil moisture and soil salinity reach your crops, saving you money and increasing yields! If you decide that GroGuru is a good fit for you, we will be completely involved every step of the way. First you will speak with a member of our sales team to compile a tailored solution to fit your growing needs. Once an order has been placed, one of our field techs will visit your farm and complete the installation for you! After the installation is complete, you will then be instructed to create an account here on the GroGuru website to enable the cloud-based software. 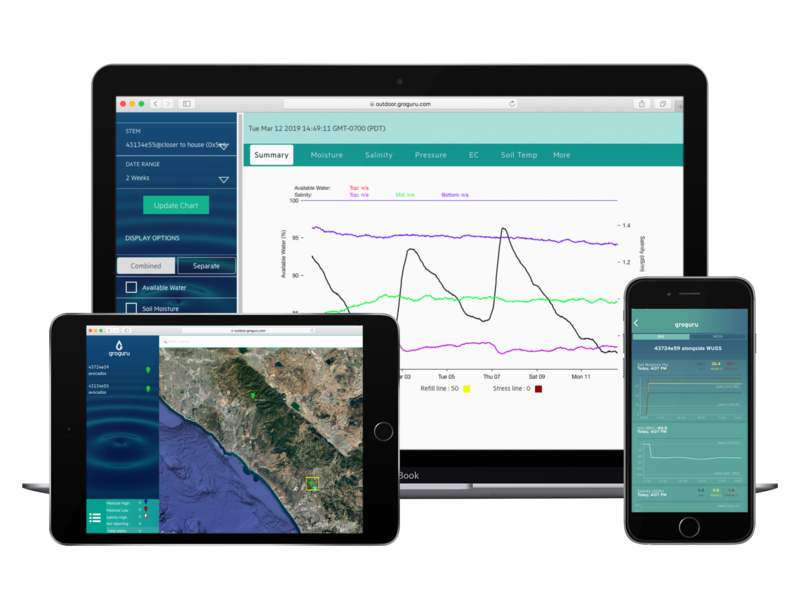 Once logged into your account, you will be provided with REAL-TIME soil moisture and soil salinity data from your phone, tablet, or computer! Makes Checking Your Growing Conditions More Convenient Than Ever. – Easy access to real-time data from your smartphone or laptop. – Pinpointed satellite views of each stem. – Easy to read recommendations for your crops growing conditions. – Monitored irrigation schedules and salinity levels. 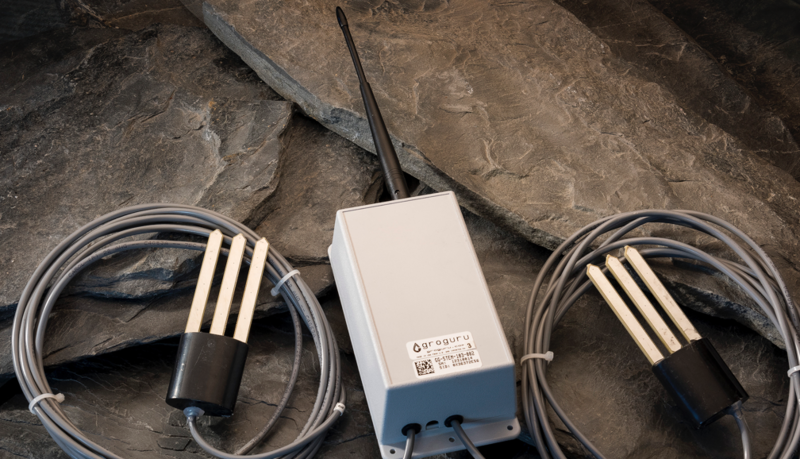 – Access to soil temperature, electrical conductivity and more! The GroGuru precision soil and irrigation monitoring systems have been successfully deployed in over 5,000 acres and 35+ categories of crops. The GroGuru precision soil and irrigation monitoring systems are very easy to deploy and maintain, and pay for themselves in less than one growing season. See examples of various crops under GroGuru care in our blog section. Follow us on Instagram, Facebook or Twitter for real time updates and news. join the groguru family today!